Sam Scalone's son tells us that his father "was born in 1917 in Philadelphia, PA of immigrant parents who came to the USA from Enna, Sicily in 1915. Growing up in South Philadelphia during the great depression Sam did many odd jobs to help keep food on the family table from shoe shine boy, selling chickens door to door, farm day laborer to digging trains out of snow banks for 5 cents a day. Like so many during those difficult economic times, Sam had to drop out of high school to work and help support the family. In 1939, he worked for the Civilian Conservation Corp stationed in New Mexico building cattle damns to collect rainfall for livestock. During the second world war he worked at the Philadelphia Naval Yard as a rigger building battleships. His first professional career was as a commercial and residential painter and then received his Associate Degree in mechanical design from Temple University and began his career in engineering in 1962,working as a contract engineer on different projects all over the country from year to year. He retired in 1990." "From late 1970 to September 1971 he was a contract draftsman working for the RCA facility (now L3 Communications) in Camden NJ that engineered the LCRU (Lunar Communications Relay Unit). He did the mechanical engineering designs on the two LRV antenna masts (high-gain and low-gain); and I remember him saying that the unique challenge was that they had to be designed so that, when they were unfolded by the Astronauts, there would be no way possible that the masts could ever tear their spacesuits." 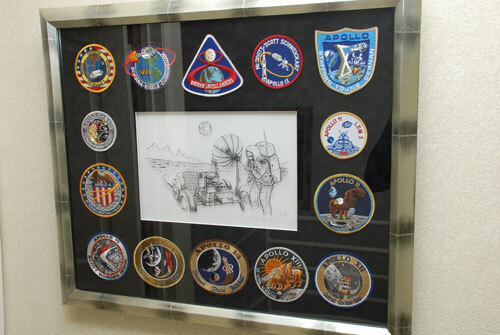 Momento from Scalone's time at RCA including mission patches and, at the center, a drawing by RCA artist James Burns of an astronaut aligning the high-gain antenna. 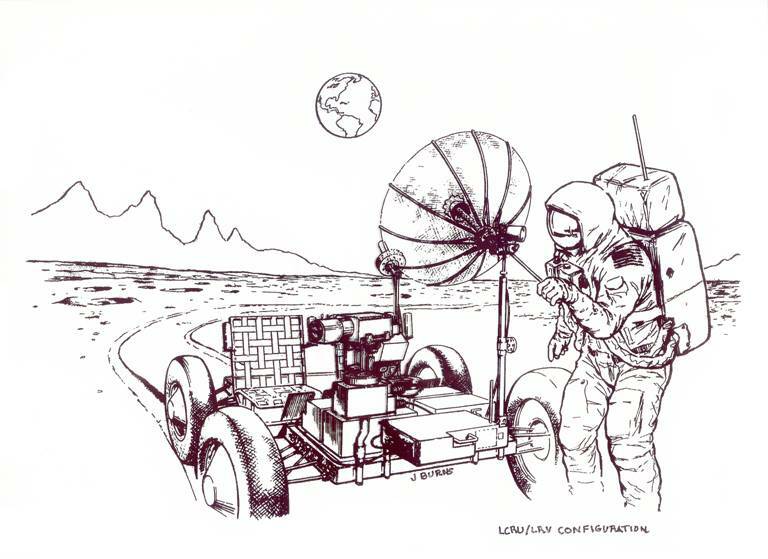 James Burns drawing with the high-gain antenna on the front of the Rover and the low-gain antenna mounted next to the LRV instrument console. 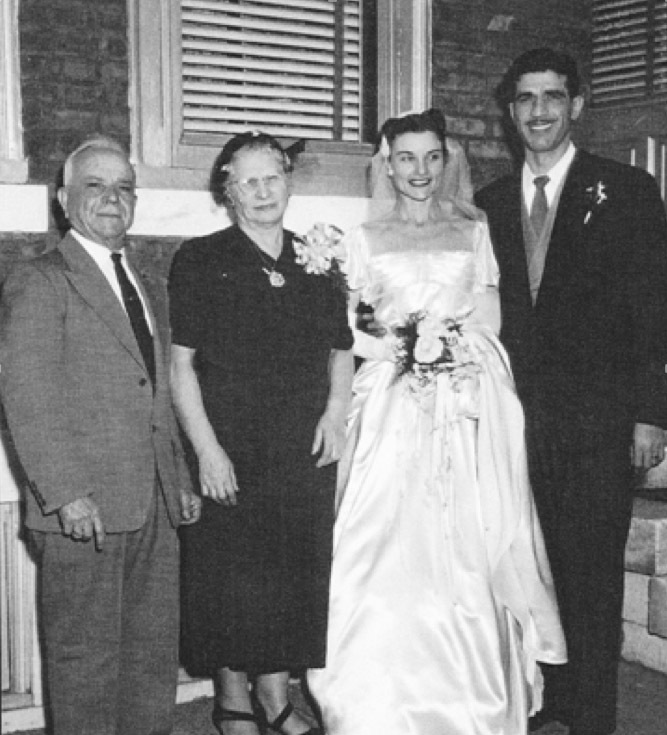 Mary Jo Scalone, Sam Scalone, February 13, 1954. 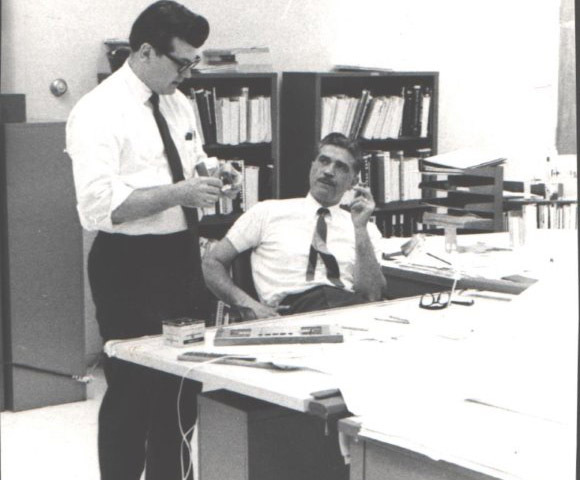 Sam Scalone (seated) and a colleague at Elco Optisonics (1968). In about 2010, Alan decided to identify the RCA artist responsible for a number of drawings in his father's collection. A relatively short search led him to James Burns and, after getting Burns in touch with the ALSJ, to an ALSJ page devoted to Burns' work. Alan, following in his father's footsteps, pursued a career in engineering - as a software engineer - beginning in 1979 with the development of computer systems that control oil refineries for Honeywell and, later, developing some of the first internet communication systems for Motorola in 1992. In 2003, Alan founded an educational software company.